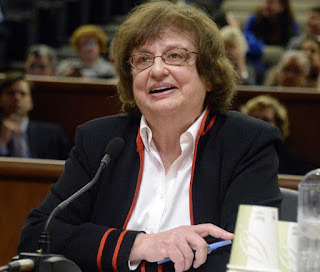 NEW YORK, N.Y. -- New York Attorney General Barbara D. Underwood – leading a bipartisan coalition of 16 Attorneys General – filed an amicus brief in a lawsuit that challenges the states' ability to regulate student loan servicers. In that lawsuit, the Student Loan Servicing Alliance sued the District of Columbia to prevent the enforcement of a D.C. law that regulates student loan servicers, asserting that the law is preempted by federal law. In a sharp reversal of long-standing federal policy, the U.S. Department of Justice filed a "statement of interest" in the lawsuit asserting that student loan servicers' conduct should be governed exclusively by federal law. The Attorneys General coalition emphasizes the critical role historically played by the States in protecting borrowers from servicer misconduct – a role previously acknowledged and welcomed by the federal government. More than 2.8 million New York residents have student loans, and New Yorkers owe more than $82 billion in student loan debt. These loans are managed by servicers – companies that process loan payments. The coalition's brief explains that the U.S. Department of Education has failed to effectively regulate student loan servicers and has recently turned a blind eye to servicer misconduct, resulting in widespread abuses of vulnerable borrowers. With no effective federal oversight, states play a critical role in preventing abuse. "Millions of New Yorkers are struggling with billions of dollars in student loan debt – and we should be using every tool to prevent abuse, rather than undermining states' efforts to protect borrowers," said Attorney General Underwood. "Servicer misconduct only serves to harm hardworking borrowers who were simply trying to pay for their education and repay their debts. We will continue to fight back against all attempts to undermine states' role in protecting New Yorkers from predatory or abusive servicer practices." The amicus brief – filed in Student Loan Servicing Alliance v. Stephen C. Taylor, et al. – was signed by a bipartisan coalition of 16 Attorneys General, including New York, California, Connecticut, Delaware, Illinois, Iowa, Indiana, Maine, Maryland, Massachusetts, Minnesota, New Jersey, Oregon, Rhode Island, Vermont, and Virginia. The coalition's brief explains that, in the absence of effective federal regulation, states have stepped up to protect borrowers. States have brought actions against servicers for a range of fraudulent, unfair, and abusive practices, including steering struggling borrowers to less favorable repayment options, such as forbearance (which permits borrowers to temporarily suspend payments) over income-driven repayment plans (which tie monthly payments to income and offer loan forgiveness after a specified number of payments). Servicers steer borrowers to forbearance because enrolling borrowers in forbearance is simpler, and therefore cheaper, for servicers than providing counseling on income-based repayment. States have also found a range of other misconduct by servicers, including: misapplying payments; charging improper late fees; failing to comply with requirements aimed at protecting active-duty servicemembers; failing to timely and properly process income-driven repayment plan applications; failing to properly process forms required for a teacher grant program, causing some teachers to lose grants; and engaging in harassing debt collection practices. The coalition's brief argues that preventing states from regulating servicers, as the plaintiffs in this case are trying to do, would lead to dramatically more servicer misconduct and more harm to borrowers. The coalition's brief also notes that the federal government's position in this lawsuit represents a sharp departure from its longstanding view that the states play an important role in regulating student loan servicers. In 2015, the U.S. Department of Education outlined a proposal to improve student loan servicing that included both federal and state law and enforcement by federal and state agencies. In 2016, the Department of Education issued a memorandum emphasizing that the Department should continue sharing information with state law enforcement agencies to facilitate state regulation of servicers and also formally amended federal regulations to facilitate data-sharing. The brief was prepared by Assistant Attorney General Sarah E. Trombley of the Consumer Frauds and Protection Bureau under the supervision of Bureau Chief Jane M. Azia and Deputy Solicitor General Steven C. Wu.